Building waterproof tubs, sinks and showers! Working with natural plasters is perhaps the most rewarding aspect of creating an earthen structure; the dessert after the main course of building with cob. By mixing and applying plaster, we will explore and compare a variety of recipes to create the perfect finish for your cob home walls. 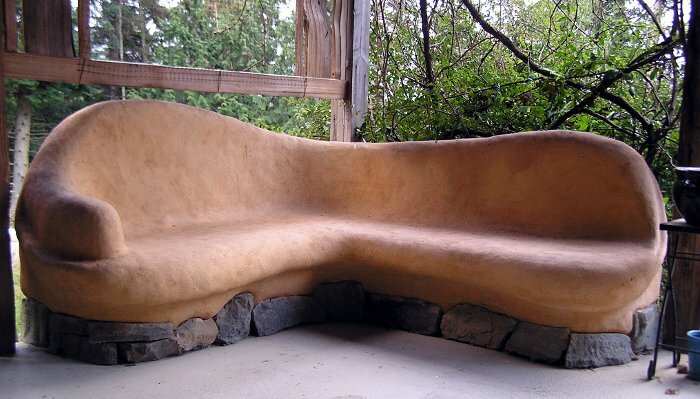 Here is the point where your home transforms from a mud hut to a cob cottage. 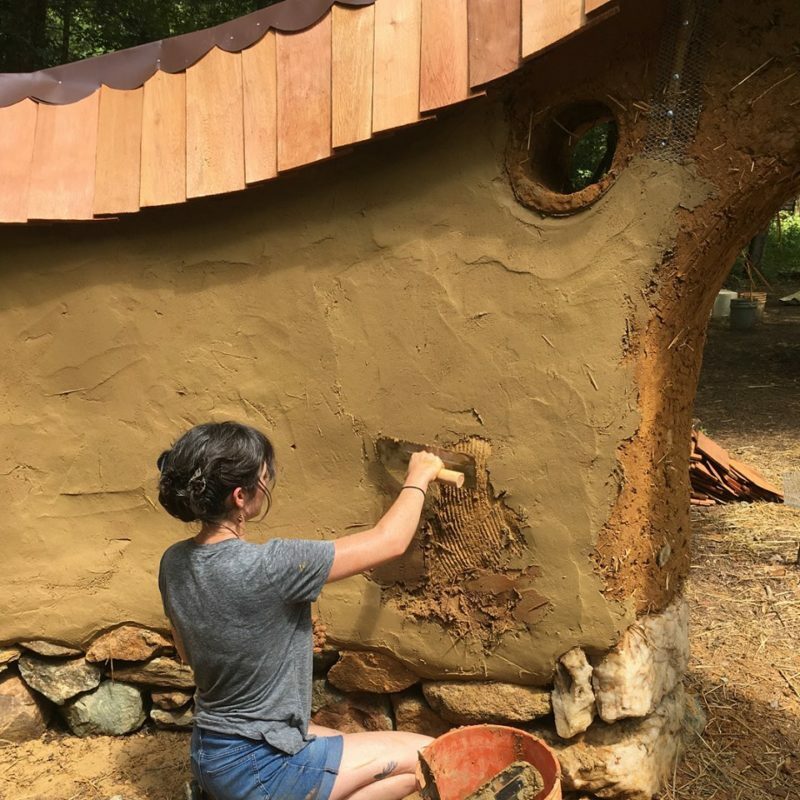 Often referred to as the rough coat or scratch coat, this is the stage of the building process that creates a protective layer for your cob building. Indigenous peoples in developing countries have experimented with a wide variety of additives to make plaster harder and more water resistant. We will contrast and compare several options. Lime plasters have been used to protect cob walls in almost every part of the world for thousands of years. Structures that are still in existence in Europe, that have been continuously inhabited for over 500 years, attest to the incredibly sustainable qualities of using lime plasters with cob. Finishing a sculpted, combination garden tub and hot tub, we will be learning about and applying a 5,000 year old Moroccan method of plastering to waterproof cob. Consider the brilliant plaster finishes of the Turkish baths and you will get the image of the Tadelakt finish. More of an art than a process, we will have ample time to apply this advanced technique. 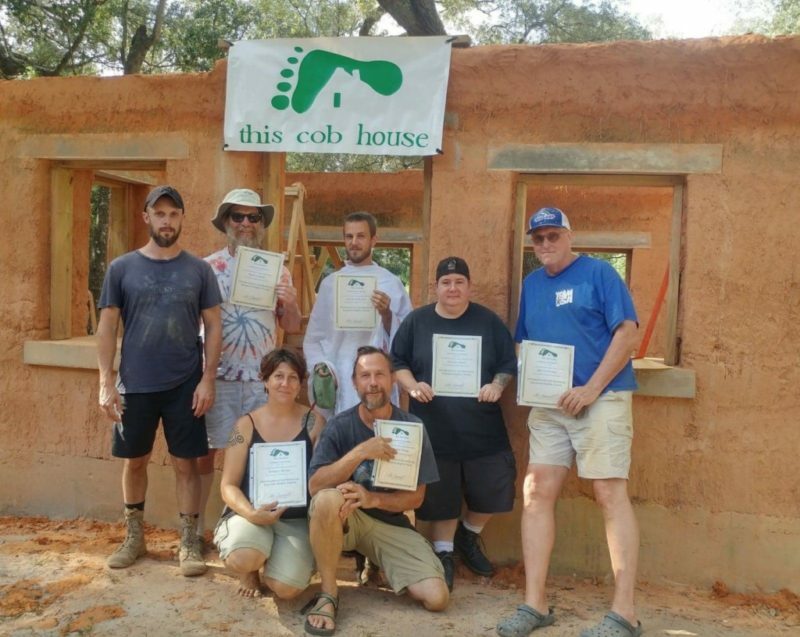 While cob masters often debate the need to attend a workshop to build cob walls, they almost unanimously agree that advanced plasters are best learned with one experienced. For more information call Diane Jennings @ 606-256-8954 or go to http://www.DisputantaCob.com to register.